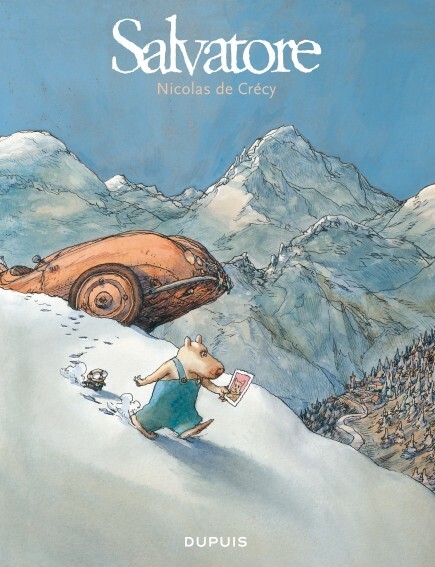 Born 29 September 1966 in Lyon, Nicolas de Crécy is a perfect example of what the Angoulême school of fine art can produce: an artist fascinated by the diverse modern fields of illustration and graphism. 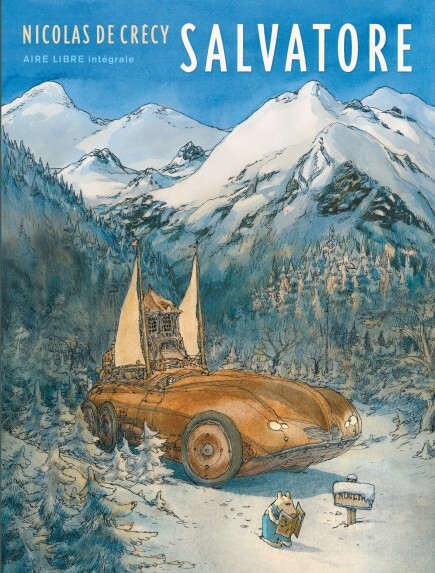 Receiving his diploma in 1987, he produced with his friend, the scriptwriter Sylvain Chomet, an adaptation of one of Victor Hugo's works for the cities of Angoulême and Ruçager (Bug Jargal, Éditions Ruçager, 1989). 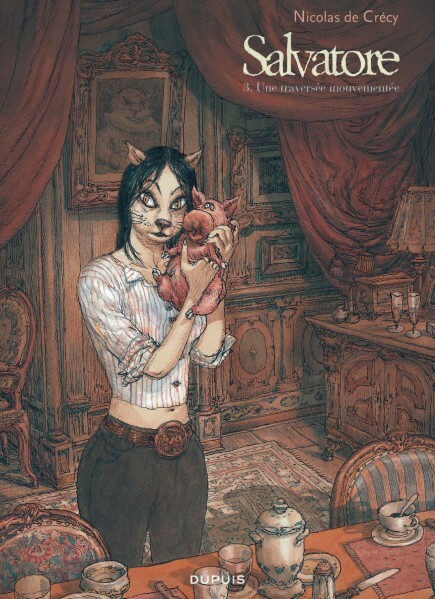 He then worked for two years in the Montreuil Disney studios and illustrated Foligatto, a comic book based on a script by Alexios Tjoyas (Humanoïdes Associés, 1991). Chomet would be his collaborator in composing the Léon la Came trilogy for the magazine A SUIVRE and Éditions Casterman (Léon la Came, 1995; Laid, pauvre et malade, 1997; Priez pour nous, 1998), the second volume of which was awarded the Alph'Art for best cartoon album at the 1997 Festival d'Angoulême. 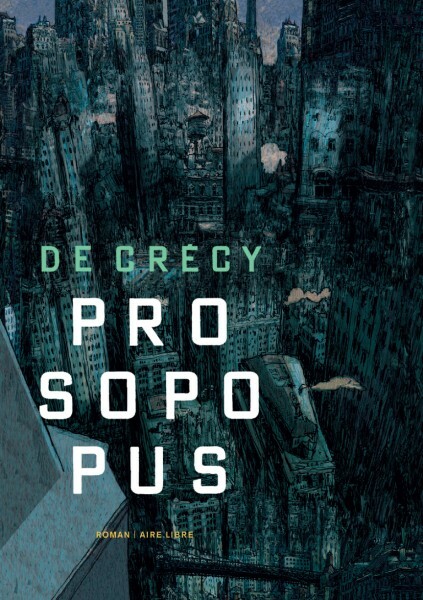 This work, whose glaucous ambiences are perfectly suited to a script of such rare ferocity, would establish de Crécy as a creator of unusual characters. His vigorous stroke is reinforced by the sombre colour scheme that has become his trademark. 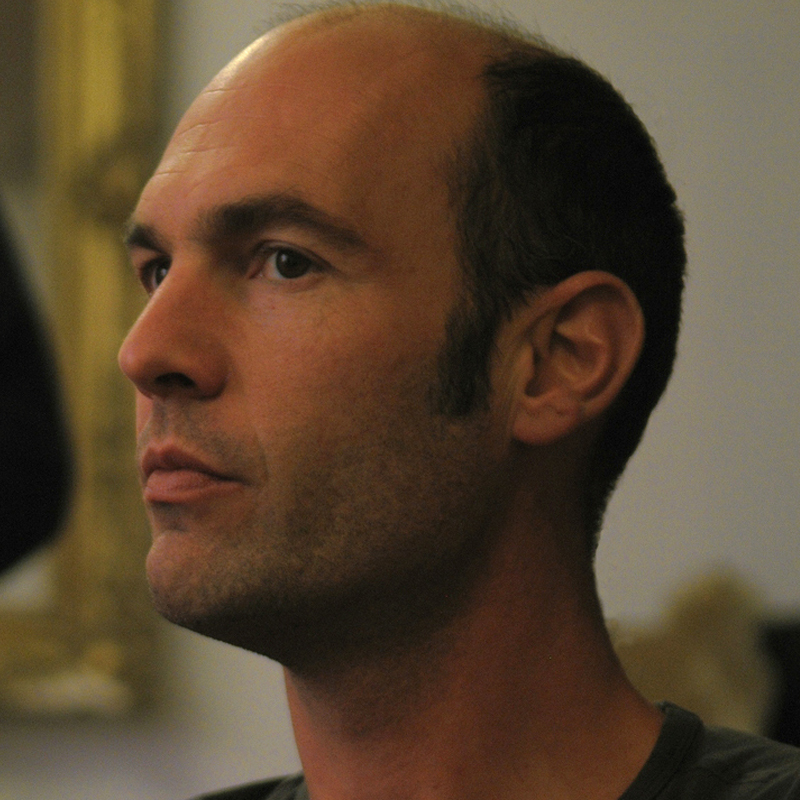 Working on his own, de Crécy concurrently created three volumes of Bibendum Céleste (Humanoïdes Associés, 1994, l998, 2002) and published two volumes of Monsieur Fruit with Éditions du Seuil (1995, 1996), an extravagant tale of revolution among the fruits and vegetables. 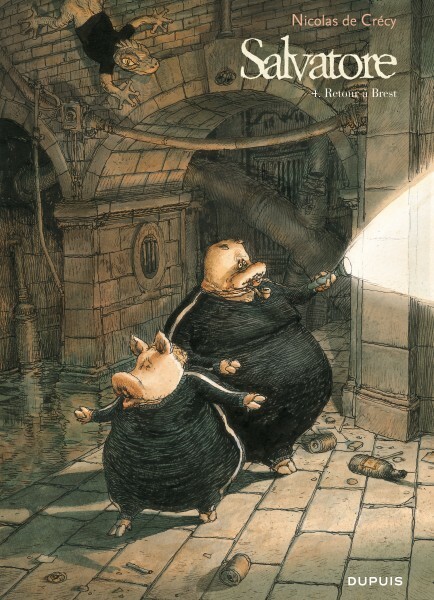 He produced small collections of illustrations for Éditions Jours de Fête and le Lézard (Costumes aquatiques, 1994; Cafés moulus, 1995). With Chomet, he returned to animated drawing by contributing to the medium-length feature La Vieille dame et les Pigeons. Prosopopus, his first work for Collection Aire Libre, demonstrates his continued experimentation into new domains of illustrated narrative. Without the support of the least bit of text, he composes an astonishing, modern ballad, highlighted by strong colours and constantly surprising twists in an unusual narrative.